In the festive spirit, my Friday favourite this week has to be my new Christmas jumper. I’m a massive Christmas fan but I’m definitely not in the loud, bold and bright camp when it comes to seasonal jumpers, so when we decided to partake in National Christmas Jumper Day in the office, I knew this H&M number was perfect. 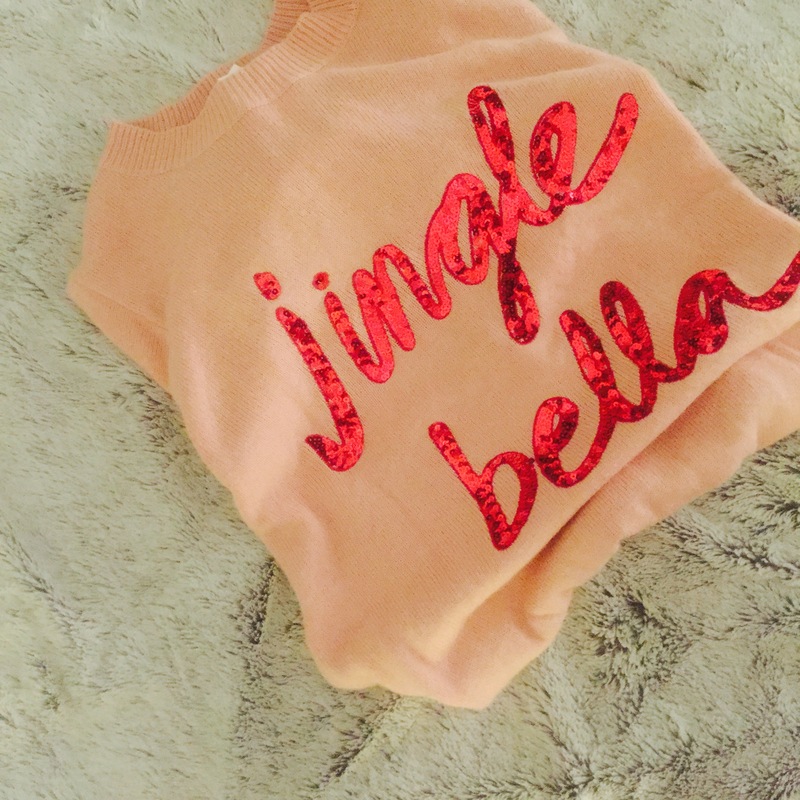 Whilst it has that essential festive glitz in the form of a sequin ‘Jingle Bella’ slogan, it still manages to be relatively neutral and stylish and will definitely see me through today as well as being perfect for cosy lounging around at home in the run-up to Christmas Day. 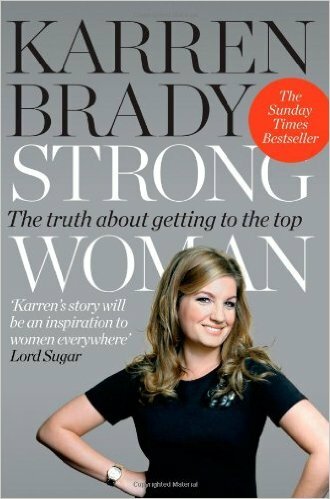 Having finished Karren Brady’s book ‘Strong Woman’ a few days ago, I thought it the perfect opportunity to dedicate my Friday Favourite to it (and her!). I first read about the book in Stylist magazine and with The Apprentice currently on our screens, it encouraged me to buy – and I’m so glad I did! As a directional business woman in a male dominated industry, Karren talks through her experiences and how she has achieved what she has and got to the top of her game. Her drive and insight helps to motivate readers and with plenty of hints and tips, shows how they can do it too. The book was a really easy read, and really personal so it was great to know how Karren got to where she is now. When you read the book you also find out she is involved with a lot more business ventures that you don’t know about, including being on the board of Channel 4 and Mothercare’s Board of Directors. Karren didn’t go to university and worked hard from the get-go, and with her intelligent wit and courage to say what she thinks, it’s not hard to see why she got to the top of her industry. This week (and most weeks) I’ve been loving US series, Scandal. From the creator of Grey’s Anatomy, Scandal is centered around the fiercest female boss you’ve ever seen – Olivia Pope. As a former media consultant for The White House, Olivia runs her own crisis management firm and works with/bosses around a team of dedicated fixers, that never fail to make a problem or scandal disappear. Think a female Harvey Spector. Olivia is chic, powerful and so beyond amazing at her job that at first, especially for us PRs, she seems to be the ultimate ‘life goals’. But as the plot thickens, details of her past come into play and we get a peak at her steamy affair with the President of the United States, her excessive red wine consumption, and her dysfunctional family history. Scandal is full of plot twists and turns, politics, PR, love triangles, government conspiracies and obviously, scandal. If you like your telly dramatic and are a fan of shows such as The Affair or House of Cards, add Scandal to your watch list. It doesn’t disappoint, I promise! 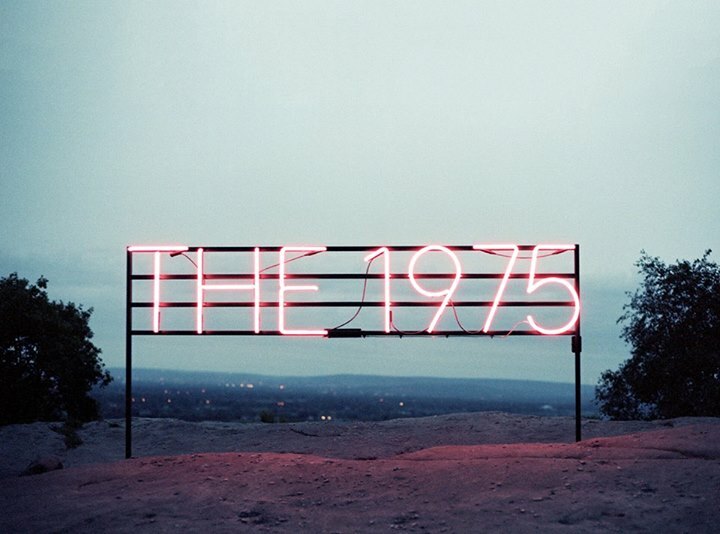 My Friday favourite this week goes to The 1975 because on Tuesday night I went to watch the band with a group of friends at the M.E.N arena in Manchester and they were amazing. Having bought the tickets in July, the night had been a long time coming but it definitely didn’t disappoint. The set included a mixture of up-beat, well-known songs as well as some of their more melodic tracks, and my favourite songs that they performed include ‘Somebody Else’, ‘Paris’ and ‘The Sound’. The visuals on stage were really creative too which added to the atmosphere and it’s safe to say that I will now be listening to The 1975’s albums for the foreseeable future! On a side note, before the concert we ate at Yard & Coop in the Northern Quarter, which I’d never tried before but became tempted by Amanda’s recommendation in last week’s Friday Favourites. I would definitely reiterate the recommendation as the food was great and the menu includes quite a few alternative options to try too. 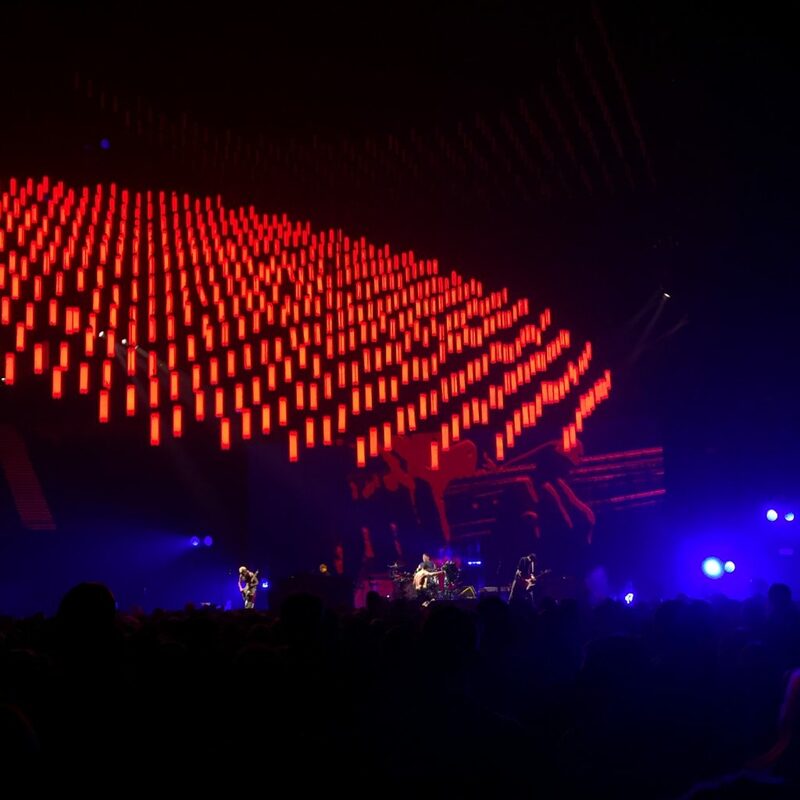 Much like Billy, my Friday favourite has to go to a gig I’ve been to this week – the Red Hot Chili Peppers last night, in fact. The Chilis are a band I’ve wanted to see in pretty much forever, so when tickets went on sale earlier this year, I just had to snap them up – even at the extortionate rate they were being sold at – and it felt like forever until I’d actually be in that arena singing along to Under the Bridge. But it was so worth the wait – the whole band are consummate performers, you can tell they’ve been doing it for decades, and hearing all the RHCP classics live was just incredible. Definitely another one to tick off the bucket list!